“At first we didn’t believe it was a new particle,” DZero co-spokesperson Dmitri Denisov told Symmetry magazine. “Only after we performed multiple cross-checks did we start to believe that the signal we saw could not be explained by background or known processes, but was evidence of a new particle.” A paper describing their analysis has been submitted to Physical Review Letters. First proposed in 1964 by Murray Gell-Mann and George Zweig, quarks are currently the smallest known components of matter, usually combining in groups of two or three to form subatomic particles. 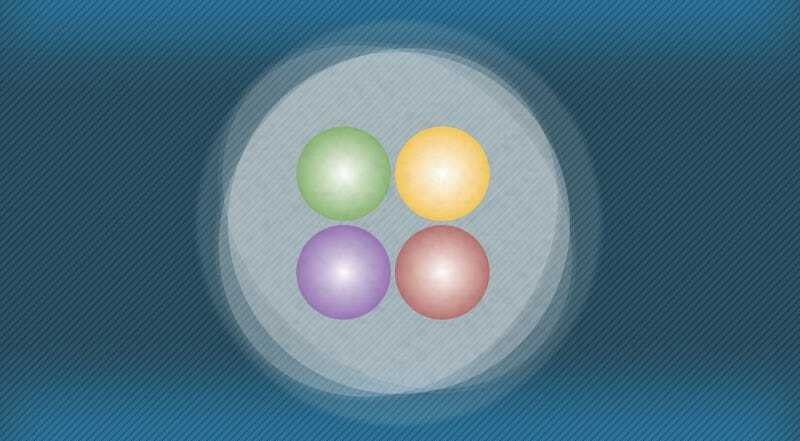 The proton and neutron in an atomic nucleus, for instance, are each made up of combinations of three quarks. Quarks come in six different flavors: up, down, strange, charm, bottom, and top, in hundreds of combinations. For a long time, physicists had no evidence that quarks could come in any other configuration besides two or three, although Gell-Mann predicted there might be particles made of four or even five quarks. That changed in 2003, when Japanese physicists found the first evidence for tetraquarks. Since then, several other tetraquark candidates have been identified, most recently at the Large Hadron Collider in 2014. Dubbed X(5568), the newly discovered tetraquark is unusual even among its exotic family members. Previously discovered tetraquarks usually contain at least two quarks of the same flavor. X(5568) is made up of quarks of four different flavors: up, down, strange, and bottom. The DZero team found the new particle by picking out a unique decay signature from Tevatron data collected from 2002 to 2011, involving billions of recorded collision events. The signal they found lurking in that data meets the so-called “five-sigma” threshold — the gold standard for discovery in particle physics. That means there is only about a 1 in 6 million chance that this is just a fluke. Among other insights, further elucidation of the internal structure and properties of this new tetraquark could tell physicists even more about how the strong force works to bind subatomic particles together.